Roma community in Tirana remembered the victims of Holocaust in some activities held in Toptani Street, on occasion of 2 August - Roma Genocide Remembrance Day. About 2897 Roma people were killed only in one day, 2 August 1944 in Auschwitz- Birkenau camp. Even though the ‘declared enemies’ of Nazi were Jews, they did the same with gypsy people. In Auschwitz all Roma people were concentrated in the Gypsy Family Camp. When the SS men tried to force the prisoners out of the barracks they faced a rebellion of Roma men, women and children, armed with nothing more but sticks, tools and stones, and eventually the SS had to withdraw. The Nazi feared that an insurrection could spread to other parts of the camp and they planned the “Final Solution” on August 2nd. On orders from SS leader Heinrich Himmler, a ban on leaving the barracks was imposed on the evening of August 2 in the “Gypsy Camp”. Despite resistance by the Roma, 2,897 men, women, and children were loaded on trucks, taken to gas chamber V, and exterminated. Their bodies were burned in pits next to the crematorium. 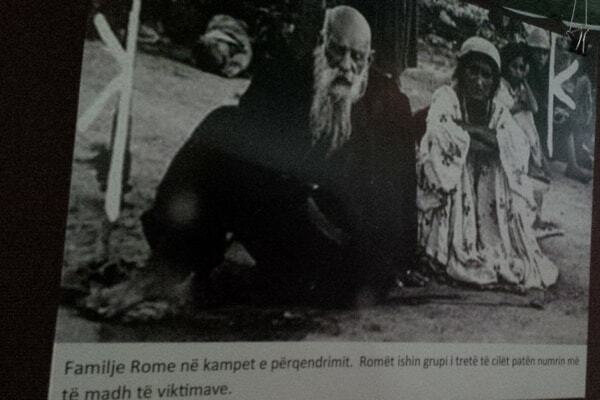 After the liberation of Auschwitz concentration camp in 1945 only 4 Roma remained alive. On this day, Roma students and some Roma organizations in Tirana created a small museum to show through photos the massacres against gypsy people in Auschwitz. 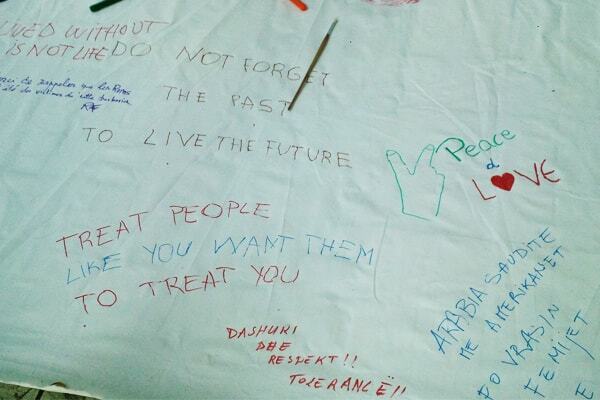 Also many citizens wrote peace messages on a white canvas, showing solidarity for Roma People who suffered this genocide during the end of World War II.